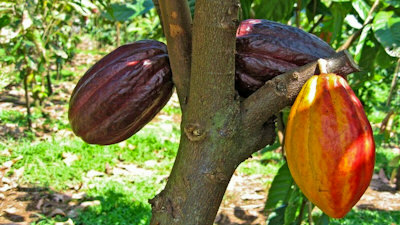 Chocolate comes from the cacao tree or, as it’s botanically known, Theobroma cacao. The word theobroma comes from Greek θεος (theos), “god,” + βρῶμα (broma), “food.” So chocolate is literally the food of the gods. 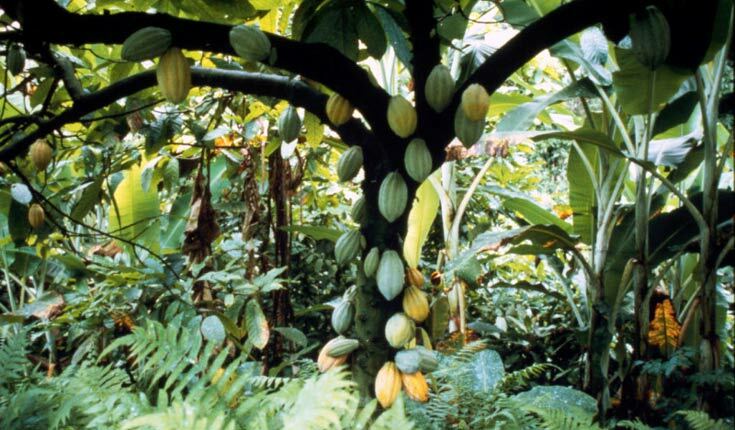 Theobroma cacao is native to the American tropical rain forest. It is a delicate tree that can survive only in a narrow band extending 20 degrees either side of the Equator.